Welcome back! I’ve a physical coming up soon. I can’t wait to learn how much I’ve shrunk since the last one. Confident that couldn’t be correct, I suggested a do-over. I explained that, in high school, I’d grown to 5 ft 10-3/4 in, though I claimed 5 ft 11 in for basketball and dating. She smiled, continued writing and advised me that as one gets older, one normally gets shorter. Did you know that? I didn’t at the time. If you check you’ll find that most of the data on height loss and aging has come from large longitudinal studies--those that collect the same types of data on the same test subjects over a length of time. 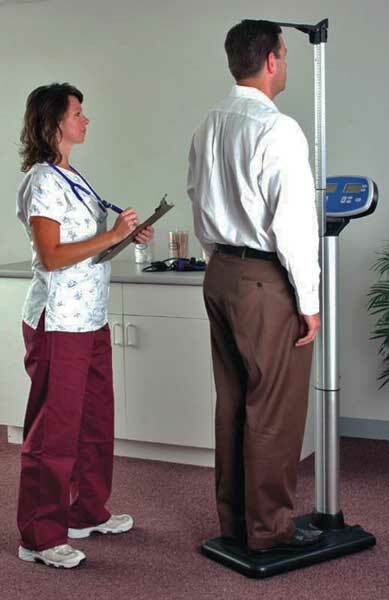 Height was one measurement collected when tracking aging or health. The longest running study of human aging, for example, is the National Institute on Aging’s Baltimore Longitudinal Study of Aging (BLSA), which began in 1958. The research has generated numerous scientific papers and made major contributions to understanding what it means to get older. An exemplar of longitudinal health-related studies that collected height and age is the Framington Heart Study, a project of the National Heart, Lung and Blood Institute and Boston University. That study set out in 1948 to identify heart disease risk factors and now conducts cutting-edge heart, brain, bone and sleep research. The Gateway to Global Aging Data website provides an online platform for population survey data on aging around the world though it does not have all major efforts. Not everyone shrinks, nor does everyone shrink the same amount or at the same rate. Still, an often quoted 1999 BLSA assessment of nearly 2,100 men and women found height loss began at about age 30 and accelerated with age. On average, from ages 30 to 70, men lost 1.2 in and women 2 in; and by age 80, men lost 2 in and women 3.1 in. Height losses of 0.25 to 0.5 in per decade after ages 40 have also been reported. Possible reasons for height loss vary. The spinal discs separating vertebrae become worn, dehydrate and compress. 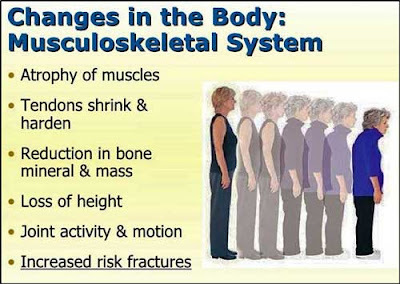 The loss of bone density associated with osteoporosis can cause the spine to become curved and vertebrae to collapse. The loss of muscle with sarcopenia and gain of fat can contribute. Besides causing you to buy new clothes, height loss, especially when large or rapid, may be indicative of--or increase the risk of--health problems. Researchers from England’s University College London Medical School and University of London tracked height loss over 20 years, starting at middle age, and subsequent mortality of 4,213 men. They reported that loss of 3 cm (1.2 in) or more was associated with increased risk of mortality and coronary heart disease. Less dire, an analysis of Framingham Study data on 3081 men and women by researchers from the Institute for Aging Research, Harvard Medical School, Boston University and University of New England linked height loss with increased risk of hip fracture. Can we prevent or reduce height loss with aging? Exercise and lifestyle may help. Investigators from Israel’s Wingate Institute and Rabin Medical Center, Belgium’s Vrije University and Switzerland’s University of Basel measured the height of 2,045 men and women, age 35-55, in 1965 and again 30 years later, categorizing the participants’ exercise history. The results suggest that lifelong moderate endurance training, particularly after age 40, can reduce height loss. Analysis of data on 17,708 adults across China (China Health and Retirement Longitudinal Study) by researchers from Harvard, Peking and Southern California universities found that socioeconomic status and lifestyle made a significant difference in height loss. But don’t get your hopes up too high. Genes and what we did when we were young play the major role. I’d probably still be able to say 5 ft 11 in if I hadn’t stopped exercising and drinking milk. Thanks for stopping by. The July 2015 University of California, Berkeley Wellness Letter has an excellent summary article, “Littler Me,” but it’s not yet available online.